B’z ROCK IN JAPAN FESTIVAL 2017 DIGEST Video Now Available! Next week’s release of the next B’z studio album DINOSAUR will come in three editions: a CD only version as well as DVD and Blu-ray editions. Those sporting bonus video discs feature their full appearance at ROCK IN JAPAN FESTIVAL 2017. The eleven-song appearance ran just over an hour and featured many of their staple hits such as “ultra soul“, “Ichibu to Zenbu“, and new single “Still Alive“. Today, a video was added to the official B’z YouTube channel with most of the songs sampled. Others, such as “Sayonara Kizu Darake no Hibi yo” and “Shoudou“, will be featured on the discs but are not shown here. For the first time ever, the limited edition will come in both DVD and Blu-ray-bearing editions and will cover the band’s full setlist from ROCK IN JAPAN FESTIVAL 2017. The show featured many of the band’s most-beloved hits with some of their most recent output and a few lesser-played gems all in tow. The first television commercial for the upcoming B’z studio album DINOSAUR is now on air. The ad features new footage of an apparent music video for album song “CHAMP” and recent single “Still Alive“. Its original premiere came during a recent episode of the anime series Detective Conan. 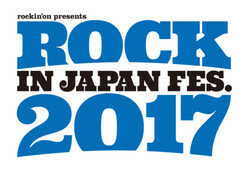 B’z have provided the series numerous theme songs over the years, beginning with “girigiri chop” in 1999. Many of the songs used in the series since its infancy have been supplied by fellow Being artists and thus their works are often advertised during airings. Interestingly, Japanese fans are speculating that the narrator of the commercial is Koshi Inaba himself. It certainly sounds like him and the English—specifically the pronunciation of the album’s title—is appropriately on point, if so. Further information regarding B’z upcoming 20th studio album DINOSAUR has been unveiled. The track “King Of The Street” off the new album will serve as the theme song to the Japanese release of upcoming hack and slash game Dynasty Warriors 9 as it is titled in the west (the game is to be published as Shin Sangokumusou 8 [真・三國無双8] in Japan). The games use the Three Kingdoms period of Chinese history as a basis that continue to be romanticized in countless television dramas, movies, and video games. The game will release on February 8, 2018 in Japan and worldwide on February 13, 2018. The game will be available on PS4, Xbox One, and PC. A special trailer featuring the song has been uploaded by the game’s publisher. You can check it out below! The last time B’z provided a theme song to a video game was 2012’s “Into Free -Dangan-” which served as the theme to Capcom’s Dragon’s Dogma. The song, featured in the trailer below leading up to the game’s release, is currently the only B’z song available for purchase on international storefronts and can be purchased for the local equivalent of $0.69 on iTunes worldwide.